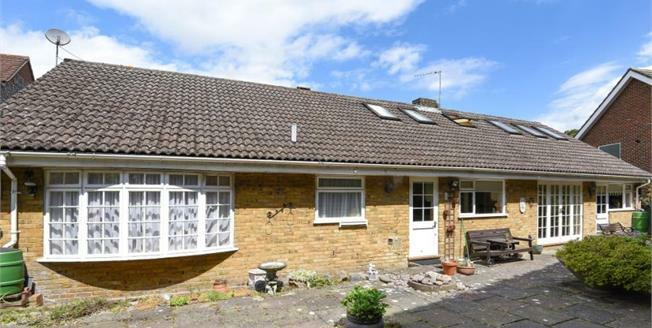 With accommodation in excess of 2100 sq ft., we are delighted to offer to the market this substantial four bedroom detached chalet bungalow is in an ideal position within Farnborough Village High Street. The accommodation features a substantial 'L' shaped lounge/diner, plus further study and kitchen/breakfast room. There are two bedrooms to the ground floor served by a bathroom and separate shower room. The first floor features two further bedrooms and a family bathroom, plus large loft storage offering further potential to extend subject to planning consents. Additionally there is an integral garage and in and out driveway with plenty of parking to front. Viewing highly recommended.